I really like these little birds. They keep very busy all day sucking ohia lehua flower nectar and plucking bugs off the trees. They originated from Japan I believe and are known there as Mejiro. One pair built a nest just off my deck a couple of weeks ago but they are very sneaky, and I seldom see those two. 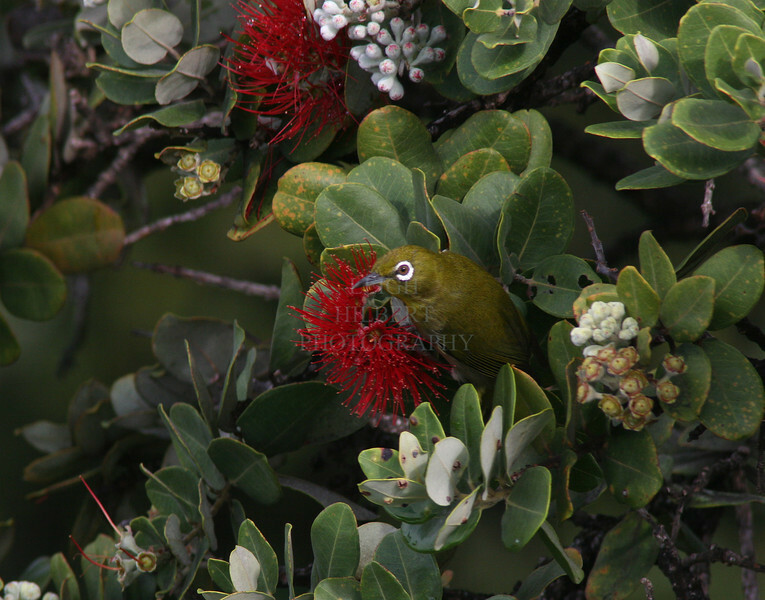 I am pretty sure they have laid the eggs but the nest is nearly completely hidden within the top forks of an ohia tree.